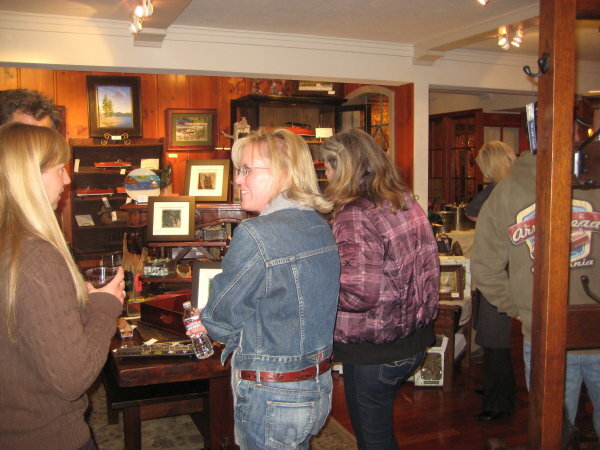 Under the big Cedar Tree in Cedar Glen… Please join us for each “First Friday” and help us celebrate the wonderful Local Artists that we Feature here, at The Lake House. The First Friday of every month this Summer and Fall we will host one or more of our featured artists here in the store, so you can meet them and see their exceptional work along with the opportunity to purchase original works of art at special “First Friday” pricing. Wine, Hors d’oeuvres, Friendship & Fine Art! What a great way to start your weekend ! A full time Mountain Resident for the past 5 years, Cheryl Chapman has brought her unique creative talent in Art Glass, to our community. Cheryl began her “glass” career in 1990, after graduating from CSULB with a degree in Psychology, and feeling the need for something more creative. She enrolled in a stained glass course at a junior college where she learned the basics and began to hone her skills. Continuing to take more advanced classes her talent began to emerge. She soon found a position at Stained Glass studio in Downey where the owner encouraged her to continue classes, including the art of glass fusing. Combining all of her skill and experience over the years, Cheryl now creates one of a kind “Art Glass“ pieces including unique Boxes, Coasters, and Stained Glass. Her ability to blend colored glass, metallic paint, natural material such as polished stones and wood, results in beautiful functional art pieces. A.P. Geary-Millet (Tony Geary) was born in Sydney, Australia and was inspired at an early age to become and artist. After graduating from Waverly College, Tony spent two years as an officer in the Royal Australian No.1 Commando Company. After his Military service, Tony earned a degree in Illustration & Design from Darlington Tech. College then spent several years in the entertainment business and traveling overseas. In 1974 Tony and his wife Christina moved to LakeArrowhead full time, where Tony found inspiration to return painting again. 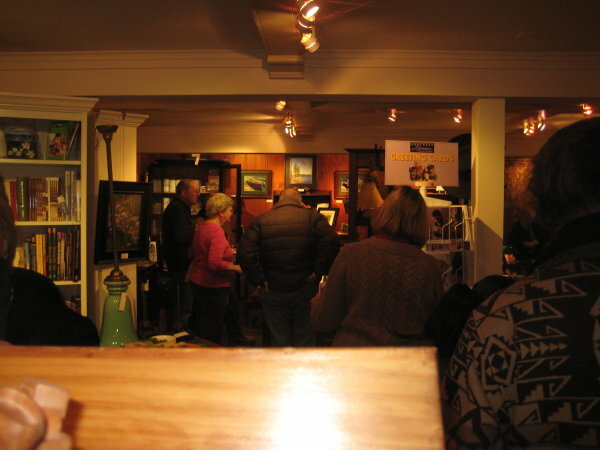 Tony is best known locally for his vivid paintings of Historical depictions of Lake Arrowhead and for his beautiful custom handcarved basswood frames. Tony was commissioned, through The Lake House, by UCLA conference Center to provide “A Walk with Friends” giclee for all of the recently renovated cottages in 2007. See Tony’s amazing Carved frames and wonderful giclee’s here during our event, and get a taste of his warmth & charm, as everyone who knows him will attest to, when you meet him in person!